The 2005 – 2010 model Cessna 172Ss provided with the NAV III G1000 panel are equipped with a full glass-cockpit integrated avionics suite, including either the GFC700 or KAP 140 2-axis coupled autopilots. The Cessna 172Ss have a 180 horsepower engine and typically cruise around 120 knots. They have 4 leather seats, airbags and excellent outside visibility. 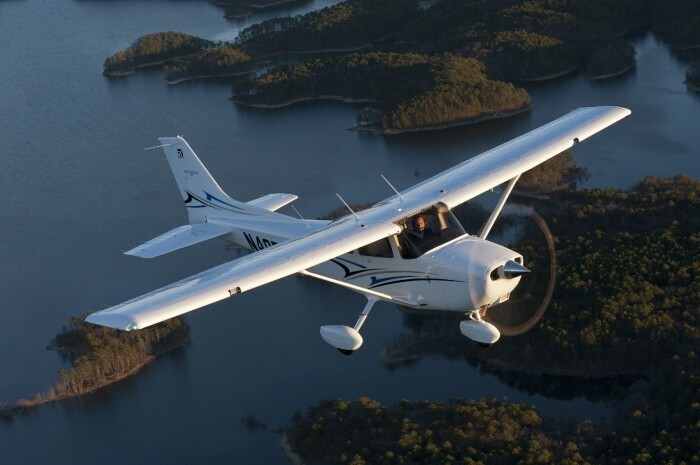 Cessna 172s have an excellent history of safety and dependability. They make a great training aircraft and are very practical for rental on trips. American Air trains students in the Cessna 172S G1000 for Private Pilot, Instrument Rating, some of the Commercial Pilot and Flight Instructor courses, as well as the Instrument Flight Instructor course. 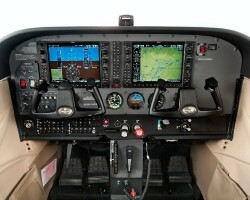 The Cessna 172S G1000 is also used for the Glass Cockpit training course.